How is a multi-page PDF created from many drawings? In Advance Steel, the Document Manager (DM) provides the option to produce single sheet PDF files. 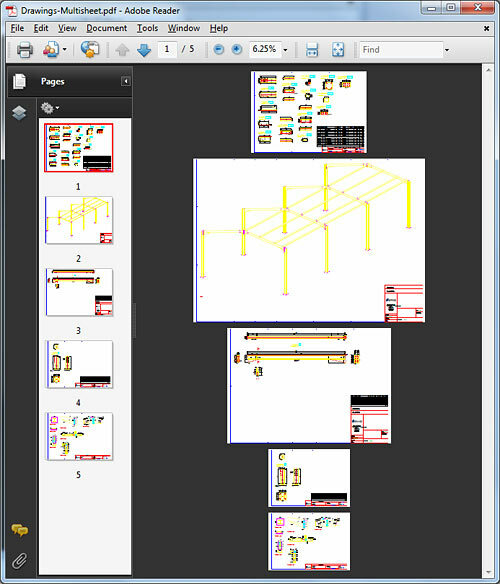 Using the AutoCAD® Publish 2011 command you can create a single multi-page PDF of many drawings rather than a separate PDF of each drawing. 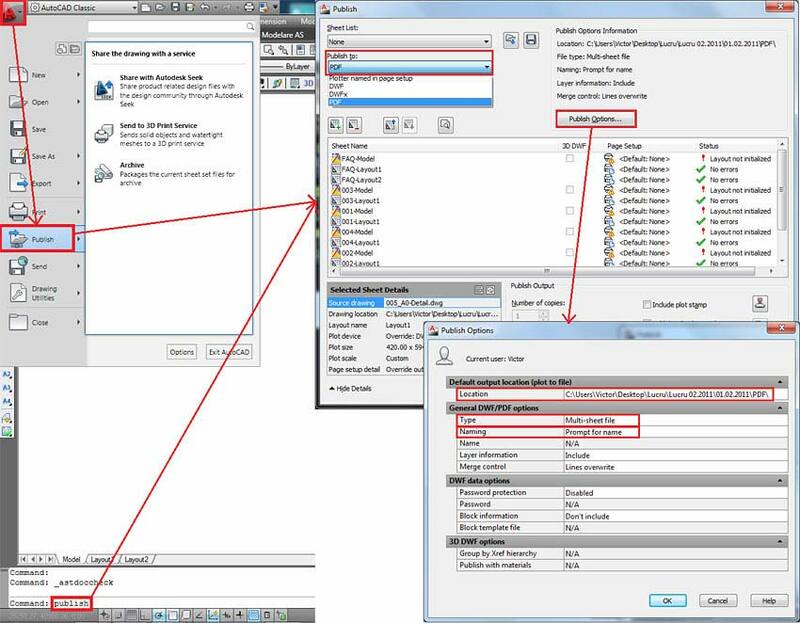 This option is available starting with AutoCAD® 2011. 1. Create or open a model in which you have at least 2 drawings. 2. 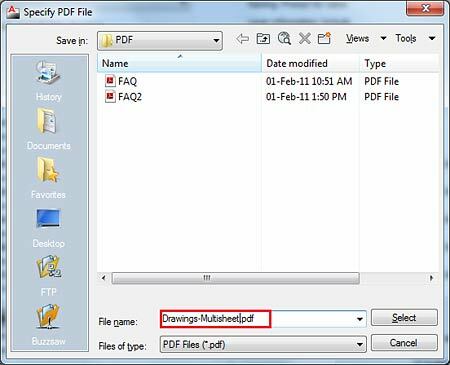 Enter DM and open the drawings you want to print to PDF format. 3. From the AutoCAD® menu select "Publish"; you can also type "publish" on the command line. 4. In the window that appears select "PDF" from the "Publish to:" drop-down list. 5. Enter the "Publish Options..." and specify the "Location" where you want to create the PDF file. Also select the "Multi-sheet file" and "Prompt for name" options in the "Type" and "Naming" fields. See the following figure. 6. 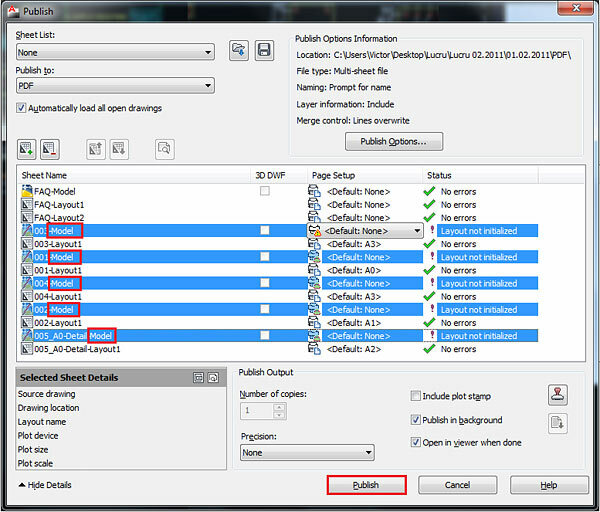 Select the drawings you want to print, only the ones that have "-Model" as an extension, and then click "Publish". 7. In the window that appears you must specify the name of the .pdf file. The file will be saved in the location you have specified in "Publish Options".